One of the world’s most inciting and picturesque travel destinations, Romania is among the less expensive countries in Europe. – local laws and customs. For Romania you might find it useful to check the Travel Advice page of Ministry of Foreign Affairs of Romania. This is an incredibly safe country if you keep your nose clean. Romania’s rate of delinquency is almost 5 times smaller than the average of European Union states. And it is the same with that from Greece, Cyprus, Malta or Portugal. Romania’s strengths are the peace, security and protection of surrounding environment. No immunizations, vaccinations or unusual health precautions are necessary before visiting Romania. For further information regarding vaccinations and travel health advice please consult your local healthcare provider. Since 1991 Romania is a democratic Republic with a bicameral Parliament. Since 2014, Klaus Iohannis is the President of Romania. The national flag is tricolor: red, yellow and blue. Romania is an year-round destination with temperate continental climate. Due to its incredible variety of relief forms concentrated on a relatively small area it has a moody weather. Generally summers are very warm to hot and winters are quite cold. In spring and autumn there are important differences of temperature between night and day. Differences between morning and noon temperatures can reach 10-15 Celsius degrees. Warm season spreads between April and September, the cold season lasting from October to March. 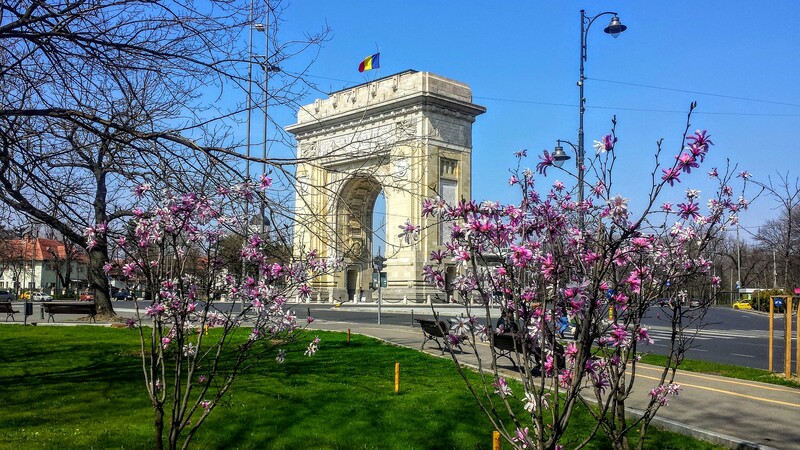 In April, visiting Bucharest, Constanta and Brasov, there are great chances to experience 4 seasons in less than 1 week. And in July and August if going on top of Carpathian Mountains you can still find some snow. To embrace your tour to the fullest, here are some useful information. No matter the season of your visit, put in your luggage rain clothes. Take thin clothes if you come here in the summer, on the coast and / or in the lowland. Pack warmer clothes for visits during the winter and / or in the upland. You can wear smart-comfortable-casual dress (whatever that means to you) in most occasions. Your attire should include: t-shirts / polos, jeans / loose fitting trousers and comfortable shoes. Look your best but keep in mind that suits, ties and heels won’t work that well ! If going to a venue that requires formal dress you can wear a suit and tie or the women’s equivalent. Remember to also take your own necessities: sunglasses, sunscreen, insect repellent, medical supplies, etc. Romanian is a Latin origin language. That’s why Romanians can quite easily understand Italian, Spanish, French and even Portuguese. Besides Romanian, they widely speak English, French, German and Hungarian. Romanians appreciate the customary courtesies. The most common form of greeting is handshaking. Between persons that just meet each other it is respectful to use Mrs. or Mr. when using their names. Wonderful hospitable people with an innate sense of humor, Romanians are open, spontaneous and great tellers. So don’t consider an impoliteness if they directly tackle subjects about Romania’s politics, history, a person’s age, income, religion etc. But always remember to give diplomatic answers. By the way, most of Romanians are Orthodox Christians (~ 86%) and Romania Roman-Catholics (~ 4%). The national currency is the “leu” (lion), the plural “lei” (RON = Romanian New Leu). Romania is not using Euro yet. In important towns there are plenty of ATMs and major credit cards (especially Visa and MasterCard) are accepted. When traveling to remote areas, small towns or villages, it is wisely to carry Romanian currency in cash. You must have your own appropriate insurances: travel / medical, storno (trip cancellation), for luggage, etc. You are solely responsible for ensuring that all information provided to any insurance company is correct and not misleading. For traveling to Romania you will need a valid ID card (EU citizens only) or passport. You are solely responsible for obtaining a passport or any other required documentation. For the latest visa requirements kindly check with the appropriate consulate or embassy. You can also check the Romanian Visa & Consular Affairs and Travel Info sections on www.mae.ro. Romania is easily accessible by plane from almost any European capital. You can choose any of the 8 Romania’s international airports to start / end your tour. You are solely responsible for correctly booking the arrival and departure flights and fully informing us about your flights details. Please do not hesitate to contact us for more certified (private) airports and heliports in Romania. We complimentary recommend you accommodation units. If these have no available rooms for your dates or you prefer different units, alternatives shall be provided. before making the booking (or requesting Azzurytt to make the booking for you).